Anti-aging procedures form a representative area within the field of medical aesthetics. A variety of anti-aging procedures are currently available from noninvasive options such as laser, filler, and, botulinum toxin, etc. to invasive modalities. 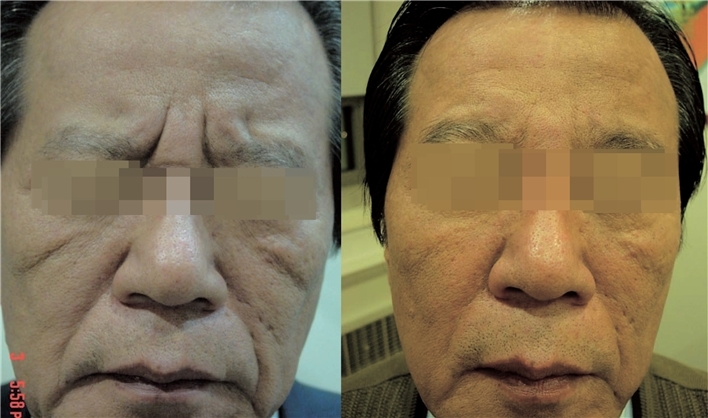 In this series on aesthetic dermatologic surgery for anti-aging, Dr. Hwang Kyu Kwang of Serion Dermatologist Clinic provides a concise summary of popular anti-aging procedures currently used in clinical settings. Dr. Hwang Kyu Kwang was a founding key member of Korean Society for Aesthetic & Dermatologic Surgery and published around a hundred papers on skin surgery. Dr. Hwang Kyu Kwang is serving as a congress president for 2015 meeting of International Society for Dermatologic Surgery in Seoul. Visible aging of the skin first occurs in the face and neck. The skin of the face and neck become sag and thin due to gravity. Sun exposure and smoking drastically accelerate the aging process abruptly with 7-8 years interval rather than on a continuum. Aging changes of the skin can be largely classified into the following three categories; 1) wrinkles caused by photoaging and pigmentary lesions such as age spots; 2) deep folds, sagging cheeks and jawline caused by gravity; and 3) atrophy of the entire face area accompanied by atrophy of the skin, bone and fat tissues. The major principles involved in slowing the aging process and the rejuvenation can be expressed as 4 Rs. ; Relax (relaxing the muscles to reduce wrinkles), Refill (using fat or fillers to fill the sunken cheeks or deep nasolabial folds), Reposition (pulling the sagging skin to restore youthful position with threads or through surgery), and Resurface (using resurfacing methods including laser to remove wrinkles, age spots or blemishes caused by sunlight and natural aging process). A rejuvenation strategy encompassing the 4 Rs will help maintain a youthful appearance well into one’s middle age. The ultimate goal of anti-aging treatment is to bring a natural, youthful, and healthy appearance as well as a consistent, translucent and smooth skin tone. Details of anti-aging procedures are presented below and they are categorized into three classes for the sake of convenience. Botulinum toxin injection is used to remove deep facial wrinkles such as crow’s feet, forehead lines, glabella wrinkles (lines between the brows) and sagging neck wrinkles which are caused by muscle contraction. The principle is that the injection of purified botulinum toxin in the facial expression muscles paralyzes the muscles for a considerable period of time and the wrinkle resulting from the muscle contraction reduces. In some cases, botulinum toxin is injected into the dermis(dermo-toxin). The wrinkle reducing effect takes place within approximately 24 to 72 hours after injection and the maximum effect appears around 2 weeks and lasts up to 4-6 months after the procedure. Follow-up with repeated injections increases the duration of the effect, and the interval between subsequent procedures become longer. Botulinum toxin injection is effective in deep wrinkles not responding to laser resurfacing. As it entails no downtime, it is ideal for busy office workers. The richest amount of hyaluronic acid is found in the skin. It is a polysaccharide also found in the body, and acts as a intercellular substance that bonds cells in the dermis and epidermis. Hyaluronic acid has powerful ability to hold the water with just one molecule of hyaluronic acid attracting 214 water molecules. Therefore, the hyaluronic acid injected into human skin is gradually absorbed biologically, but holds a volume of water similar to the injected amount and maintains the initial volume. Synthetic hyaluronic acid is effective against deep, noticeable wrinkles of the forehead, glabella wrinkles, lines around the eyes, and nasolabial folds. It is also used to give more volume and clearer delineation to the lips as well as to remove acne scars and severe indentation of the skin. The effect lasts for 8 to 24 months depending on the type and site of the injection. Other fillers known to have longer lasting effect than hyaluronic acid are calcium hydroxylapatite (Radiesse), and PAAG (Aquamid), etc. These fillers are preferred in rhinoplasty and reduction of nasolabial folds due to their long lasting effect. There is an influx of various types of fillers into the market in addition to the above materials. They differ in indications and duration of the effect, etc (Figure 1). Platelet Rich Plasma (PRP) has the following mechanism of action. PRP is the blood plasma with higher density of platelets. PRP has a 2-6 times higher platelet count than normal blood at the pH level of 6.5-6.7, and each mm3 of plasma contains over 1 million platelets. PRP promotes wound healing as it contains growth factors released from platelets. Injection of PRP in wrinkles or aged skin improves skin smoothness, tone, wrinkles and dark circles. 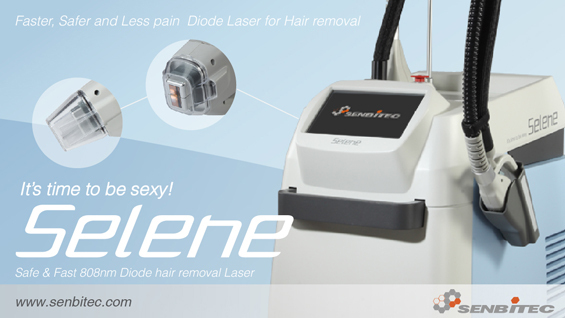 When used after a fractional laser procedure, it enhances recovery of laser-damaged skin and increases the effect of laser. PRP is more suitable in patients in their 30s and 40s rather than 20s. However, PRP in the condensed form of plasma gel can be injected as a filler in dark circles around the eyes and acne scars appearing in the 20s. It can also smooth the facial contour when injected into thin cheeks. PRP injection is effective in skin trouble and has the advantage of little to no side effects as it uses autologous blood. Its effects have not been fully clarified and we still need more scientific data to support broader application. However, along with stem cell therapy, PRP has the potential for further development.